Bringing the electrical system of your hotrod or street cruiser into the 21st century is an important part of instilling reliability and dependability into a weekend toy. There’s nothing worse than going out to the garage, uncovering your ride, getting in your car and turning the key, only to hear “click”, or worse, nothing at all. Suddenly, your plans for a Sunday drive or day at the rod run are on hold. You’re held hostage at the mercy of your electrical system. Dependability is important, but we hot-rodders are visual people, each motivated by a unique set of aesthetics driving the shape and personality of our cars. A clean engine bay, both in terms of grime and a lack of clutter, can be a defining style many aspire to reach. Popping the hood at the Nationals, a Goodguys event, or burger joint cruise-in, shouldn’t be tempered by embarrassment over a wiring-cluttered engine bay. Striking a compromise between functionality and looks is a battle that can arise when it comes to choosing an alternator. While the 1-wire units offer clean and simple installation with minimally visible wiring, the OE-style 3-wire units can provide better electrical performance for the demands of your hot rod. We sat down with automotive electrical experts from Painless Performance and Ron Francis Wiring to clear up some questions in this debate. When you look at the electrical system of a car, it’s a symbiotic network of components. Accessories like fans, radios, lights, and of course the ignition, are all wired into common points like buss bars and fuse blocks, that receive power from a common 12-volt source – the battery. The alternator keeps your battery topped off as you are running down the road. There are a few important differences between 1-wire and 3-wire alternators that you need to be aware of, so we pressed Dennis Overholser of Painless Performance, and Scott Bowers of Ron Francis to demystify the 1-wire versus 3-wire alternator conundrum. Tuff Stuff shows us how much easier it is to wire a 1-wire alternator. “20-25 years ago they came out with an internally-regulated alternator that was always powered by an exciter wire from the ignition system. Because of the demand of hot rodders who wanted to keep a clean wiring appearance, they came out with what you’d call a one-wire alternator,” Overholser prefaced. You might ask why this is the case? What is different in the electrical architecture and design of the alternator? The answer comes down to the excitation signal. “A 1-wire alterntor has a self-exciting regulator, and doesn’t require a wire running to the regulator to create a turn-on circuit with the ignition. The other two ports that are on the regulator are not needed. When you think of a regular GM alternator with a built-in regulator, most people call it a 3-wire alternator, but really there’s only two wires. There’s the main charge wire, the exciter wire, and a third wire that can jump between the regulator and the battery stud. You still see a third wire, but as far as wiring for the rest of the vehicle, you really only have two wires,” Bowers contributed. 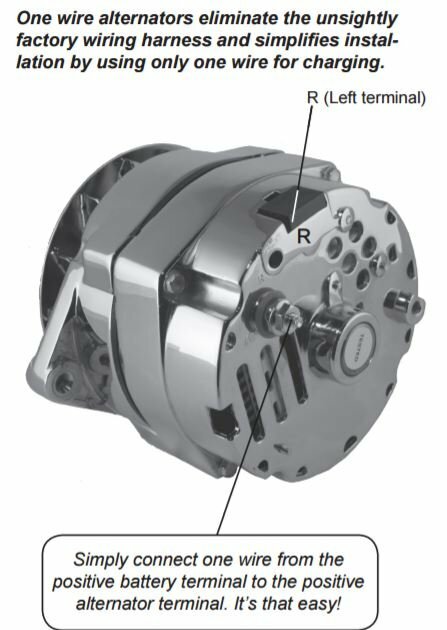 Because the 1-wire alternator is self-exciting, it requires the driver of the car to exceed an engine RPM threshold to tell the alternator to start charging. When you pair this requirement with a slow-speed cruise around a show, or a modern fuel-injection setup that controls startup parameters, you can run into trouble meeting the electrical demands of the car. “The biggest caveat with a one-wire alternator is once you start the engine, it does not start charging until it reaches a threshold RPM – which requires the engine to rev up a bit. How many RPMs you need to see on the tach for the process to begin really depends on the size of the pulleys and the alternator’s internals. With a fuel-injected engine you may or may not reach that threshold RPM while starting the engine, however, with a typical carbureted engine, you might be pumping the gas or getting it to start up with a choke, and you will probably reach that threshold RPM,” Bowers pointed out. What about Alternator Output Ratings? When you are shopping for an alternator or piecing together an entire electrical system, you’ll need to do some basic arithmetic – adding up the amperage draw of all your accessories and then selecting a charging system you think will keep up. But, the problem is a little more complicated than that. It’s important to consider how you drive the car and be more specific about your electrical supply against the demand. “What we see with some cheaper one-wire alternators (and it can also bleed into regular GM internally-regulated alternators) that deliver a lower amperage output, is that it might not have enough output at idle to satisfy the needs of the vehicle. That is a consideration the typical builder needs to have in mind,” Bowers identified. “The other big myth with alternators concerns how they are rated. The output of an alternator is rated at two points: idle, and maximum RPM. The only time an alternator will output its max rated amperage is when at highway speed and the battery is dead. The rest of the time it’s only going to put out what the system is calling for. The other key we have to look at is what does it put out while the engine is at idle? Most factory alternators from the past that are rated at 100 amps, actually only put out around 40 at idle. What this means is, if you’re in your hotrod and cruising around Nationals with your radio on, air-conditioning running, and cooling fans on, these items are pulling around 60 amps – in about an hour your battery is dead,” Overholser cautioned. Now that you understand how the amperage rating of an alternator actually translates into usable electricity, it’s important to understand something about duty cycles. Just as you would not want to run your engine at redline RPM all the time, you do not want to demand maximum output from your alternator for extended periods of time. “Another thing we should address, concerns the demands on an alternator and not trying to surpass them. You don’t want to demand more than 80-percent of the maximum output of an alternator for extended periods of time. If it’s a 100 amp alternator, you shouldn’t expect to be getting more than 80 amps for any continuous time. You’re basically going to reduce the alternator’s lifespan,” Bowers explained. Hopefully, now you shouldn’t be scratching your head over which alternator will offer the best performance, but you might still be concerned about having a nest of wires under the hood. The 3-wire system is actually less intrusive than it sounds, as it really only requires two extra wires integrated into the rest of the electrical system. 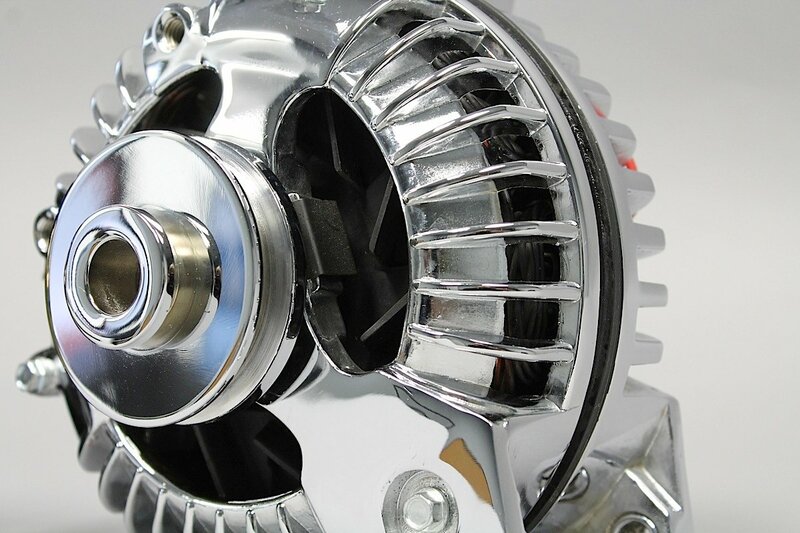 Unless you are prepared to striclty manage your electrical budget very tightly when cruising at low RPM, the 3-wire alternator provides better peace of mind. “The 1-wire alternator only has a sense of what it is sending current to, which is the battery. If the battery is up, it does not recognize a voltage drop. The three wire alternator senses voltage at the fuse block and the ignition, and the alternator will then charge more to get all the systems up to power,” Overholser sums up. “They are both going to do the same thing, and another tidbit that most guys miss the point of; when you buy an alternator – whether it’s a 100 or 125 amp unit – that’s what it’s capable of. But it’s only going to put out what it needs to in order to satisfy the demands of the electrical system,” Bowers concluded. Trevor Anderson comes from an eclectic background of technical and creative disciplines. His first racing love can be found in the deserts of Baja California. In 2012 he won the SCORE Baja 1000 driving solo from Ensenada to La Paz in an aircooled VW. 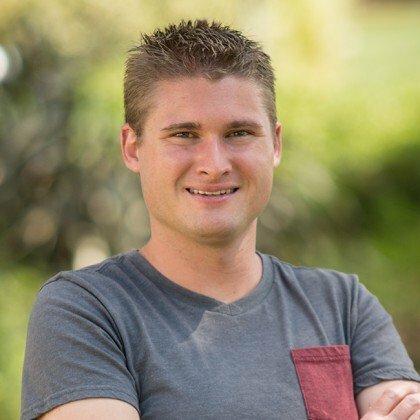 Trevor is engaged with hands-on skill sets such as fabrication and engine building, but also the theoretical discussion of design and technology. Trevor has a private pilot's license and is pursuing an MFA in fine art - specifically researching the aesthetics of machines, high performance materials and their social importance to enthusiast culture. One-Wire Alternators: Are They Better Or Just Easier To Hook up?